Preparing to send out the first set of prints for the Chariso Press I worked with Flux Laser Studio to create some ink stamps for my envelopes. I’ve gotta admit it feels great to be stamping my own logo onto prints that are heading out into the world. Think it’s going to take a little practice to get that perfect stamp, but it doesn’t feel like I’m going to get bored of it anytime soon. 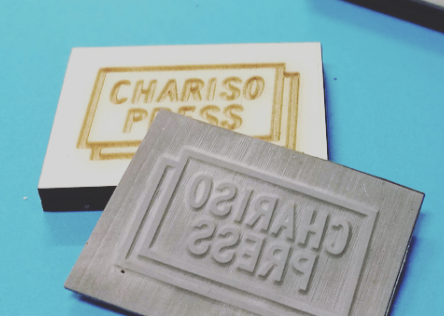 Newer Post The Chariso Press	Older Post YOU DO YOU.